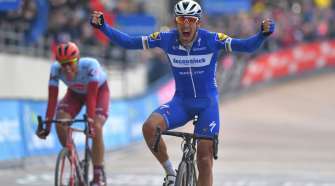 National Championships Award Road Titles - SoCalCycling.com - Southern California, Cycling, Cycling News, Amgen Tour of California, Bicycle Racing, Fun Rides, Cycling Event Schedules, Mountain Biking, Cyclocross, Cycling Photos, Cycling Videos, Interviews, Product Reviews. The 2013 USA Cycling Amateur & Para-cycling Road National Championships returned to the road race courses at Blue Mound State Park, east of Madison, Wis., on Friday, where four Stars-and-Stripes jerseys were awarded. The 17-18 men’s road race began the day. 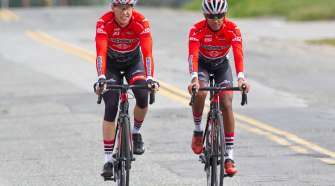 More than 90 riders battled it out, with Logan Owen (Bremerton, Wash./California Giant Cycling), who already owns eight cyclo-cross national titles, finally claiming victory at road nationals. Owen found himself pitted against Stephen Bassett (Knoxville, Tenn./ Kentucky Flyers Cycling Inc./Texas Roadhouse Cycling Team p/b Motorex) on the final climb, eventually edging Bassett by just two seconds. Curtis White (Delanson, N.Y.) crossed the line in third. Another multi-time cyclo-cross national champion claimed the Stars-and-Stripes jersey in the women’s U23 race. Kaitlin Antonneau (Racine, Wis./Exergy TWENTY16) topped runner-up Alexis Ryan (Ventura, Calif./NOW and Novartis for MS) and Katherine Shields (Salisbury, N.C./ Carolina Masters/PainPathways Cycling Team) to add to the U23 time trial title she won yesterday. Adrien Costa (Los Altos, Calif./Slipstream-Craddock Junior Development) also took home a second title in two days when he soloed away from his teammate Christopher Blevins (Durango, Colo./Slipstream-Craddock Junior Development) in the final kilometer to win the 15-16 junior men’s road race. Third-place finisher Gage Hecht (Parker, Colo./Team Specialized Racing Juniors) was the only rider not on the Slipstream-Craddock Junior Development team to place in the top five. In the final race of the day, Stephen Leece (San Luis Obispo, Calif./ California Giant Berry Farms/Specialized) outlasted nearly 200 competitors to don his first Stars-and-Stripes jersey. Leece emerged from a 10-rider lead group to cross the line two seconds ahead of runner-up Cameron Cogburn (Cambridge, Mass./CCB Racing) and 12 seconds ahead of Joseph Schmalz (Lawrence, Kan./Elbowz Racing p/b Boneshaker Project). 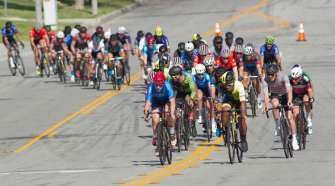 Also on Friday U.S. Paralympics named its roster for the 2013 UCI Para-cycling Road World Championships in Baie-Comeau, Canada, from Aug. 29 to Sept. 2. The team features 26 athletes, including several who earned national titles at yesterday’s Amateur & Para-cycling Road Nationals time trials. For a complete list of riders set to compete in Canada for U.S. Paralympics, visit teamusa.org. 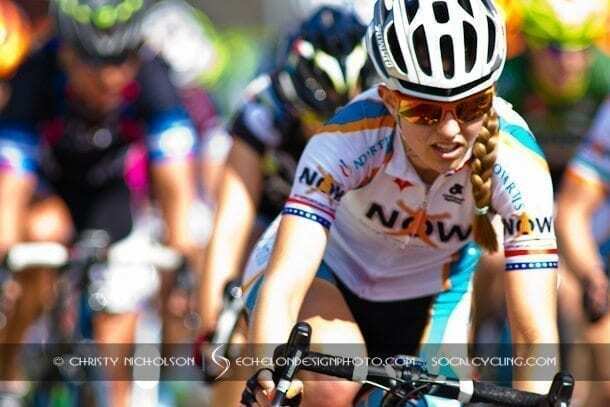 Above Photo – Alexis Ryan (Ventura, Calif./NOW and Novartis for MS) earned a silver medal in the U23 Women’s Road Race.